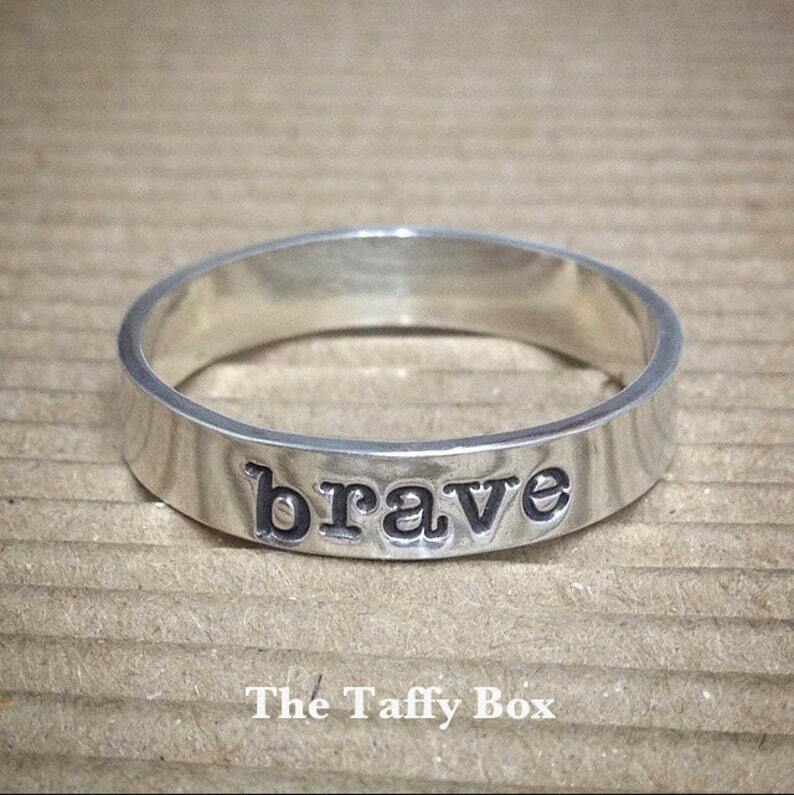 Sterling silver band is hand stamped brave in the size of your choice. Back of ring can open to allow for finger swelling and slight size changes, or soldered to your size. The choice is yours. See photos. All brave item sale proceeds are donated to Brave Girl. Boxes, sending care packages to women in treatment for breast cancer. Band is 4mm in width. Please specify your ring size in note to seller at checkout. Prefer a different word? Just specify. Words can also be stamped INSIDE if preferred.